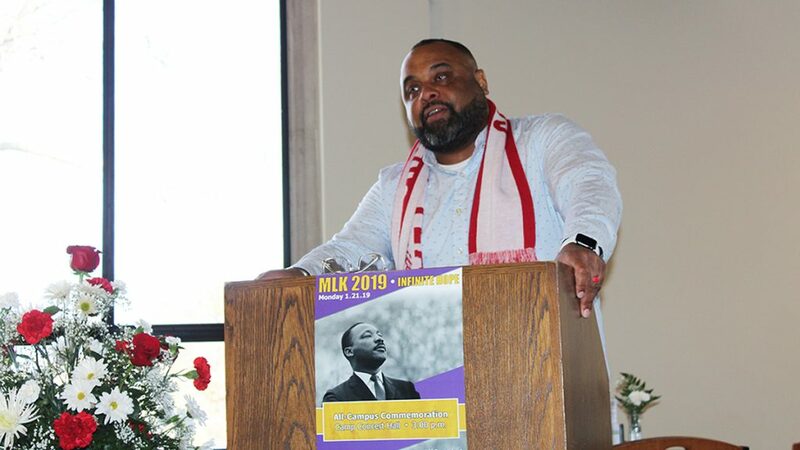 “We need to be very careful of the memories we choose and how we deploy those memories to serve particular ends,” Jepson School professor Julian Hayter told those assembled at the University of Richmond’s kick-off MLK Day event. Most of us remember only a few phrases of King’s famous ‘I Have a Dream’ speech, he said, and we too readily congratulate ourselves on the progress our nation has made toward social integration. We often forget—sometimes intentionally—the parts of King’s speech that exhorted us to fight poverty, police brutality, and persistent segregation, Dr. Hayter said. Much work remains to be done in these areas. 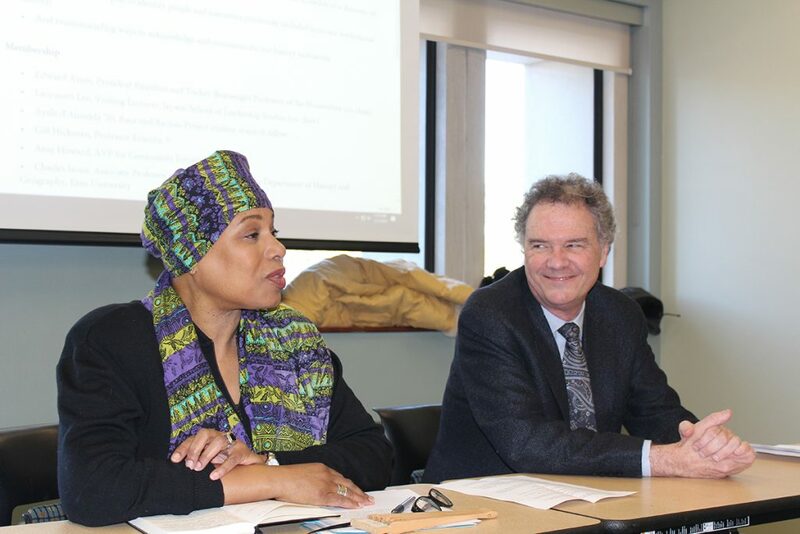 Later on MLK Day, Jepson School visiting lecturer Lauranett Lee and University of Richmond President Emeritus Edward Ayers, co-chairs of the University’s Presidential Commission on Institutional History and Identity, gave an update on the commission’s work. They noted the University’s original affiliation with the Baptist Church may put it in a unique position to share a vast trove of Virginia Baptist Historical Society records, including over 50,000 records of enslaved people, dating from the 18th century on. Digitizing these records could make the genealogy—and the memory—of these enslaved people widely accessible for the first time. But that could change, if, as Lee envisions it, students and faculty play a central role in this possible digitization project. Drs. Hayter, Lee, and Ayers served on the city of Richmond’s Monument Avenue Commission, tasked by Mayor Levar Stoney with making recommendations about the future of the Confederate statues lining one of the city’s major boulevards. They helped lead the civil discourse on this hotly debated topic. As historians, all three recognize the significance of these monuments, not only for the story of history they tell, but also for the story they don’t tell. How we choose to remember history—and what we choose to forget—contribute to the success or failure of our efforts to create a more educated, just society. We can make progress only if we commit to a thorough, inclusive telling of our history. A telling that challenges us to do better.